When someone you love passes away, it’s customary to hold a memorial service. This not only serves as a way to honor the deceased and celebrate their life, but it also gives those close to them a chance to say goodbye. However, planning a meaningful memorial is no easy task. Where do you start? What do you need to do? What should you take into consideration? These are all questions that might swirl around in your head. If you need to plan a meaningful memorial for a loved one, this guide will break down the steps for you. The first thing you need to do is decide on a date and a location. 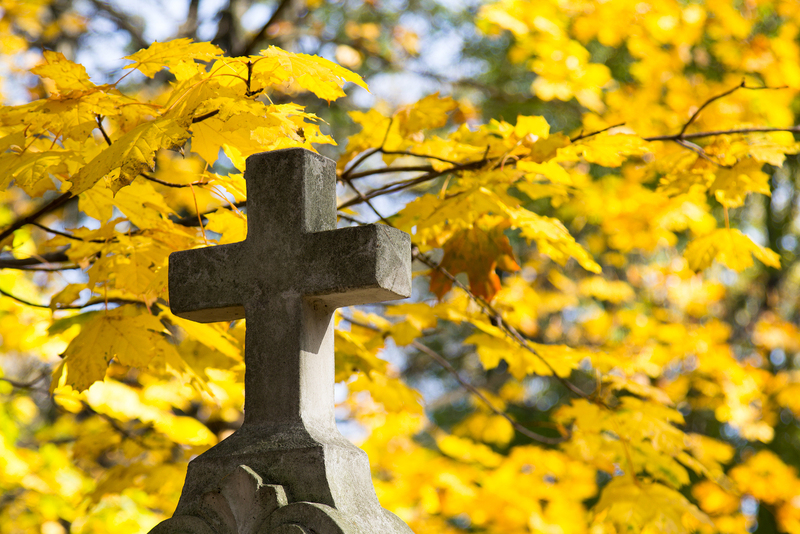 Unlike a wake and funeral, a memorial service does not need to occur immediately after someone passes away. In fact, sometimes it’s better to wait. If you have a family reunion coming up, this may be a better time to host a memorial. If you know people’s schedules open up more for travel during the summer months, you can wait. By choosing a memorial date that is at least a few weeks out, it allows people to purchase cheaper air fare or adjust travel plans accordingly. The important thing to keep in mind is that a memorial does not need to take place right away. Next, you’ll need to choose a location. Typical locations for memorials are churches, funeral homes, or any other rented event space. You will want to consider a few things when choosing a location—the guest list and the deceased’s preferences. If the deceased was a big nature lover, you can hold a memorial in a natural park. If they were devoutly religious, a church might be better suited to host the best memorial for them. Also, be sure that whatever space you choose can accommodate the number of people invited. Next, you’ll need to notify those who are out of town. The obituary that you write will specify when the memorial is, but people that don’t get the local newspaper or don’t read the newspaper might not receive word. You should either call or email your out of town relatives and friends to inform them about the memorial details. It’s also a good idea to include some information about decent hotels nearby for those coming from out of town. The next step is to create an itinerary for the big day. Choose a leader, whether it be a clergyperson, son or daughter, spouse, sibling or friend. It’s a good idea to choose someone who is comfortable speaking in front of people, if possible. Then you’ll need to decide on the plan for the memorial. What will the opening words be? Who will give readings? What readings will be had? Are family members going to be given a moment to speak personally if they choose? These are all things to consider when you put together a memorial. When you are holding a meaningful memorial, it’s important to give people something tangible to hold onto. This can provide comfort and support during a difficult time. A printed program or memorial cards is one way to do this. The cards can have favorite quotes and photos of the deceased, copies of the readings given, and even favorite memories or information about the deceased. It’s a great way to remember a great person and serves as a keepsake for friends and family members. You can choose to do-it-yourself or hire a professional printing service if your budget permits. When planning the best memorial, you want to keep thinking, “What would the deceased like?” If they loved wild flowers, go that route even if you think lilies or roses would be more fitting for the memorial service. If they loved Frank Sinatra, but you’re more into Queen, go with the king of the Rat Pack. This day is not about you, it’s about celebrating the life and love of the deceased. Also, keep in mind that you are likely to receive flowers as sympathy or memorial gifts for the deceased, so have a plan with where to put those in the event space. Creating a photo display memorializing the deceased’s life and loved ones is another way to put together a meaningful memorial. Put together a few displays or tables with pictures of the deceased. Try to include everyone that may be coming to the memorial. That means friends, coworkers and family members. People feel comforted and nostalgic when looking back at old photos and this is a nice touch for a memorial service. You can also put together a guest or “reflection book” for guests to write in and share their special memories. It not only helps you through the grieving process, but it helps them as well. After a memorial, there is typically a reception. This reception can take place in a number of places but essentially serves as a less formal gathering where people can continue to celebrate the life of the deceased. Be sure to let guests know if and when a reception will be held. Acceptable places for a reception include homes, activities centers of retirement homes, restaurants, parks, church basements or any other convenient locations. Refreshments and food are typically served, but how you do so is up to you. You can have the reception catered, order pizza, or ask close relatives to make a dish to pass. Whatever you decide, be sure to inform guests what is expected of them. As you can see, planning the best memorial seems intense, but really it is a reflection of the deceased. Hone into who they were as a person and what they loved, and make sure the memorial reflects that. If you need help looking for memorial gifts or ideas, check out what The Comfort Company has to offer.